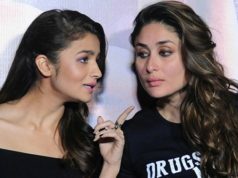 Perhaps it’s the fallout of being interviewed for 16 years and being asked the same kind of questions each time, but Kareena Kapoor Khan tends to pepper her replies with safe platitudes. ‘Moderation is key.’ ‘I’m a director’s actor.’ ‘To each her own.’ You cannot squeeze any sensational headlines out of that, and that suits her just fine. More interestingly, sometimes when you’re halfway through a question, she does a sort of mental autofill and answers the question she thinks you’re asking. It leads the conversation in a different, and sometimes more revealing, direction. Like, when asked if she’s always loved herself, she sighs, “People have this impression of me,” as if she was being accused of something like arrogance. But this quality is one of the most endearing things about her. 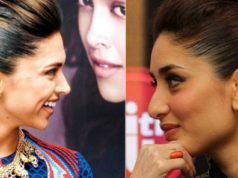 Kareena Kapoor (way before the Khan) has always stood out for seeming completely happy with who she is. 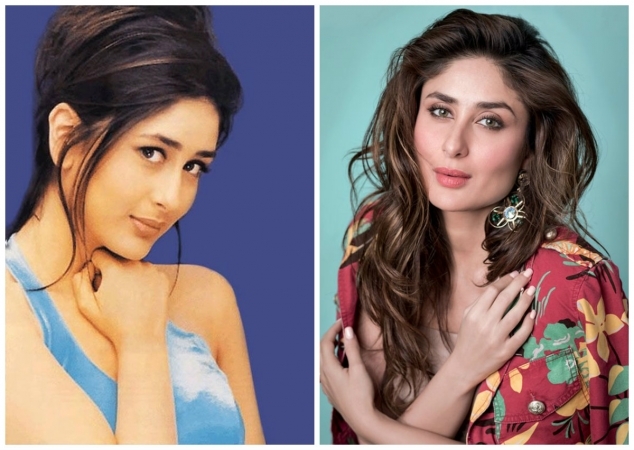 It’s no coincidence that the roles she’s best remembered for — Geet from Jab We Met, Poo from Kabhi Khushi Kabhie Gham, the title role in Chameli — are ones marked for their rebellious self-regard. She is pure charisma on screen and powerful in the hands of more ambitious directors, like Vishal Bhardwaj (Omkara, 2006) and Govind Nihalani (Dev, 2004). But even in her item songs, Kapoor has a way of rising above the macho tawdriness of whatever scene she’s placed in. No matter what the costume, she’s always feeling her look, and it’s so fun to watch. 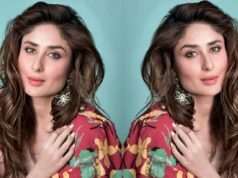 Whether her confidence is a defence against being stared at nearly all her life or the result of it, Kapoor is a great example of the revolutionary effects of self-love. 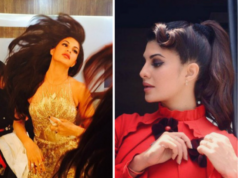 At 35, she’s glowing with good health, happily married, satisfied with the work she does and the price she commands (she should be, she’s among the highest-paid actresses in Bollywood) and almost cat-like in her contentment with life. So sure, maybe moderation is key and happiness comes from within yada yada yada, but what specific steps did Kapoor take to get to this happy place? That is really the only question we asked her, and, eventually, she answered it. “On holidays, the first thing I do is get pizza and french fries.” Kapoor has frequently described herself as a ‘greedy girl’. She wants the epic red-carpet moments and the fries, and everything in between. The secret to having it all, disappointingly enough, is portion control. Ration out your pleasures so that they don’t get in the way of your goals. So even on holidays, Kapoor says, she doesn’t fill her plate or her schedule, often choosing quiet evenings by the fireplace to hitting all the sights. When Kapoor moved in with now-husband Saif Ali Khan, he convinced her to let them get a dog, and she’s a convert today. “I call Leo, our pug, my first-born son. All he wants to do is eat and sleep. Elvis, our Jack Russell terrier, is a handsome fellow and gets a lot of attention when he’s out on his walks.” No matter how hectic her life, Kapoor says, she makes time for Leo and Elvis. Another one of those autofill moments happens when Kapoor is asked what the best part is about doing an item number: “I enjoy song and dance. It’s not a crime. But everyone’s so vociferous.” Warming to the theme, “There are so many issues in our country, corruption, poverty, water problems, illiteracy, yet people make these statements about how item songs are affecting society. For years now, since Helenji’s time, we’ve been doing item songs. There are different kinds of movies being made today. Everything doesn’t have to have a message. We are actors, not politicians.” No, they’re not, and that’s why we love them. For all her detours, Kapoor does end up giving you the answers you were looking for. 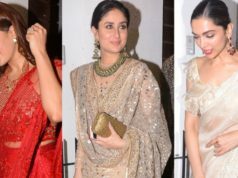 So, again, how does Kareena Kapoor Khan manage to be so happy with her life? Discipline and greed, blockbusters and small films, living on set and reading by the fire. A little bit of everything, with fries on the side. Just follow the simple advice from her, and be happy like Kareen Kapoor. And never ever stop loving yourself!